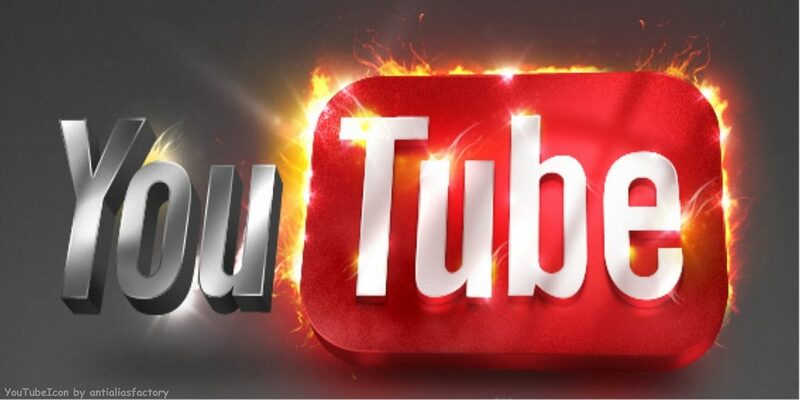 How To Rank Your Youtube Video In Google And Make Money With It: So one of the hottest topics in SEO and digital marketing today is video marketing and video ranking. The reason is that it is effective; people are proven to prefer video over text (aside from this site of course), its far less expensive than it once was, and compared to ranking a website in Google it is often much easier costing less time and less money. The purpose of this series isn’t necessarily to show you how to achieve Google rankings for your video, though we will touch upon that, it is more to show you how having a high ranking video can help your business and your brand by increasing your brand recognition and getting more customers. 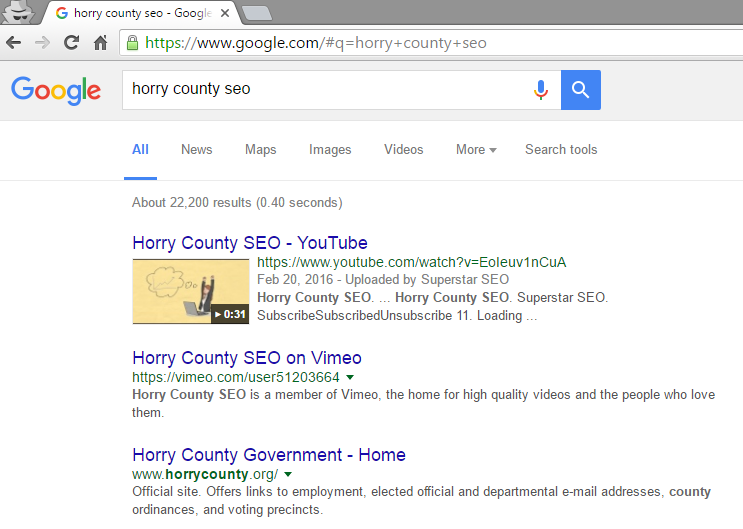 See how when you Google search “Horry County SEO” the first result is a Video? That is essentially what we are trying to achieve with video ranking. If you have ever searched for anything online then the value of this should be obvious. The top results gets the most clicks, the most traffic, and in turn the most sales. That should give you a general idea on what I mean by video ranking. As you can see this gets pretty involved. These are just some of the “on page” steps. We will go more in depth in the future but if you have a video you want to rank right away it will probably be easier to get a done for you video ranking service these are really reasonable and you are handing it off to people that do this for a living. So we’ve established what video ranking is, and how to do it we still need to answer the question: How To Rank Your Youtube Video In Google And Make Money With It. Ranking your video alone is not enough. It must also keep people engaged, explain what you have to offer, sell them the product or service, and leave a lasting memory of your brand. This is where having a quality video comes in. Making a video may seem like a daunting task but it is actually super easy to make a high quality video that will represent a specific business. Now that we have an understanding of what video ranking is, why it is important, and the software to create intros and outros the next step is to create the bulk of the video itself. There are 2 different kinds of videos we can do for businesses: A video for an existing business. Or a niche video that we intend to rank and then later rent to a business (this is a great way to make easy cash). I am not going to lie; creating a video can be time consuming and require you to learn a bunch of different types of software and maybe have some specialized equipment. If you have the time and the budget for that, by all means go for it but that’s not me so I had to find other alternatives. To create a video for a business that already exists the best, and most inexpensive way to get a really nice video made is to purchase this service I have purchased from him over, and over again and have gotten professional quality videos that he could be charging hundreds, or even thousands of dollars for. You simply give him the URL of the website you want to make a video from and he will take care of the rest. Check out an example of a video he made for me in like 30 minutes. Excellent right? This has saved me thousands of dollars and hours trying to sort this out on my own; if you have the skill to do this yourself then by all means go for it, but I think this is the best deal out there. Then when I return you should have a video for a business or website, have a nice intro for it, and have started the process of getting it ranked!